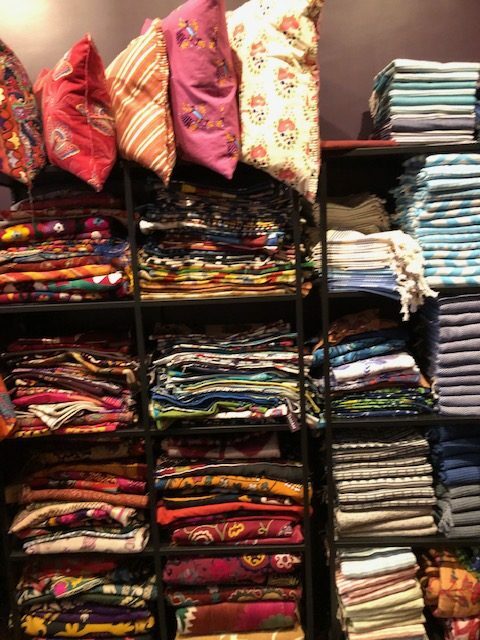 Several years ago I spotted the lovely Tulu Textiles while wandering into Nicky Rising in Los Angeles. 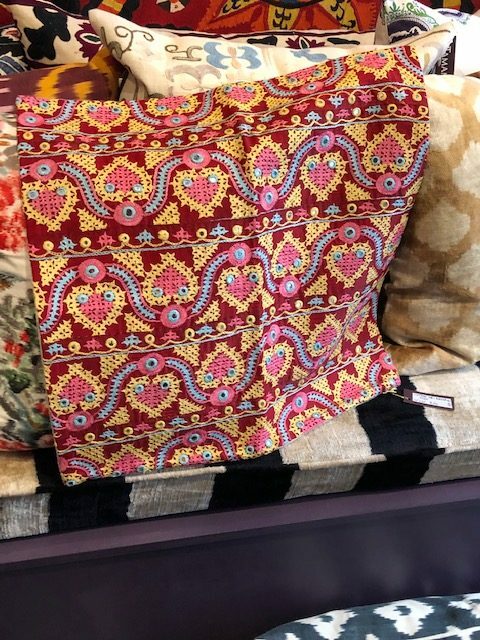 This unique line feels as if it were painted onto the fabric. 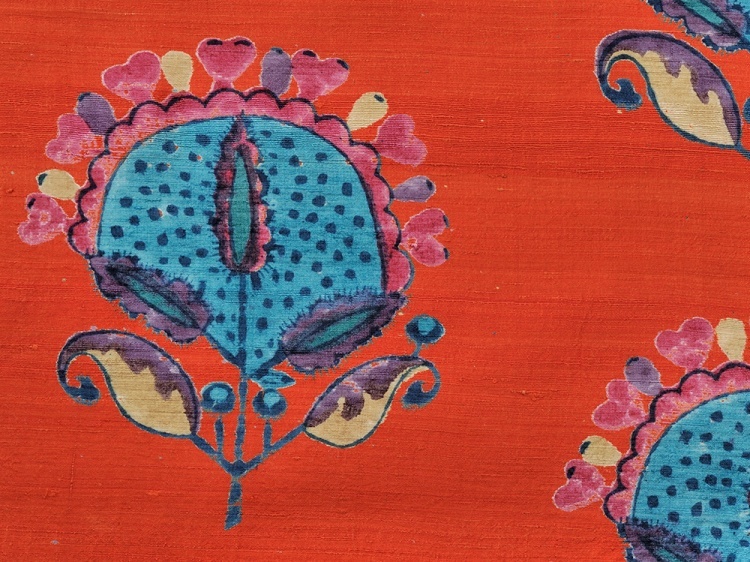 Stella, above, was a favorite right away with its Indian-inspired flowers on a vivid orange ground. Saydona, above, is a new favorite. The flowers jump off from the darkness behind. A glimpse of Tamam’s treasures. 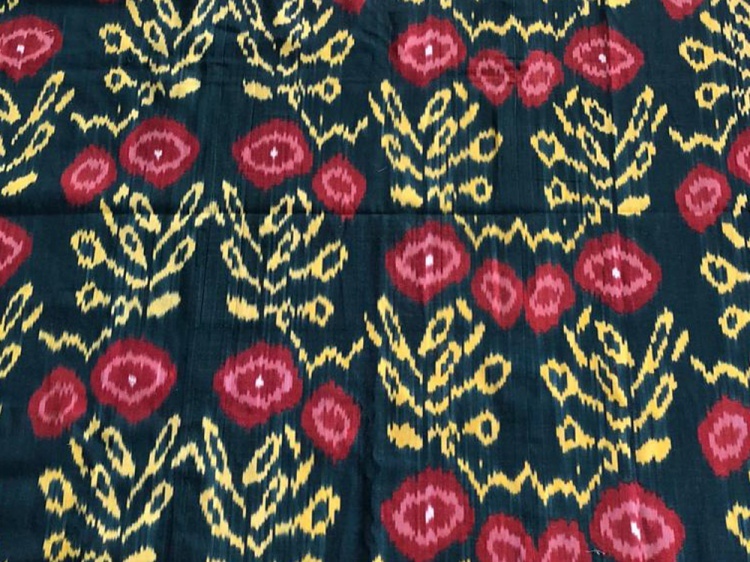 Researching fabrics for a project, I revisited the Tulu website where I learned about the shop. Tamam is a collaboration between Elizabeth Hewitt, Clare Louise Frost, and Hüseyin Kaplan. A recent trip to New York City allowed me to pop in. That is not an accurate description, as popping in would imply a quick visit. Mine was not that. 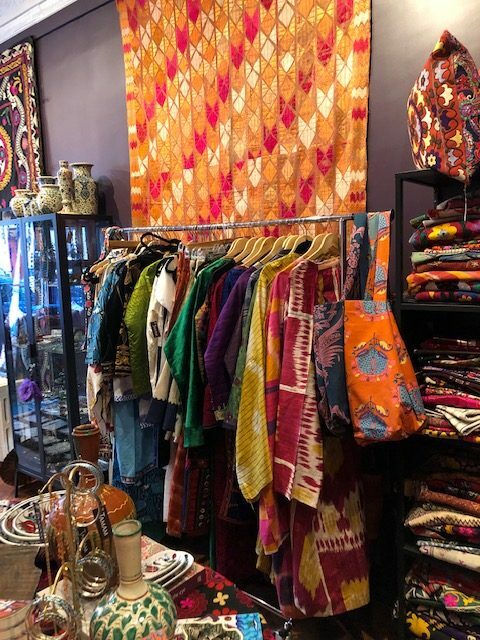 While the shop is small it is packed with treasures that must be pulled out and opened up to fully appreciate. Clare and Elizabeth were happy to oblige. They clearly love each and every carefully chosen item within the shop’s walls. Another benefit of a long stay is that items continue to appear. Elizabeth was in town bringing new inventory that she continued to pull out. Fortunately, for them I had to meet my husband. Otherwise, I could have stayed even longer taking in all of the beauty. Bring your imagination to think of new ways to use these treasures. 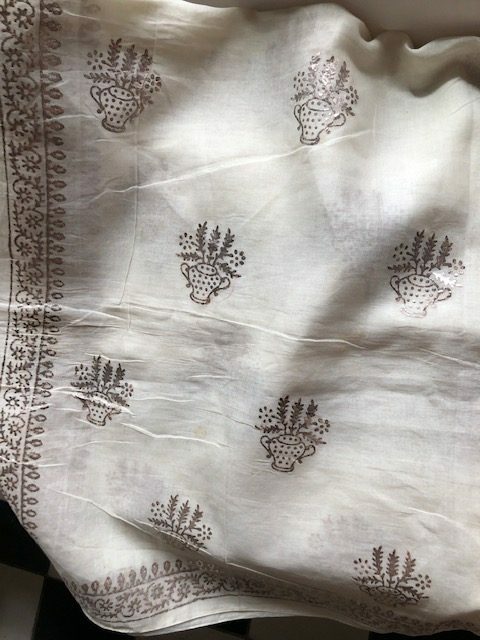 One of my favorite items, if it is possible to declare any, were the old saris. One that I keep thinking about was a gorgeous pink. It was printed with delicate silver details with a fantastic silver trim along the edge. Perfect for a lampshade. Future lampshades for Casa V Interiors. Fortunately, I realized that it would be a huge mistake to leave behind this white silk sari with real silver flowers and a charming trim. This beauty will likely become lampshades. One of a kind treasures haunt me a little as I feel guilty cutting them up for a new purpose. Clare lifted this guilt from me, reminding that it is much better to give them new life rather than resigning them to a shelf where there beauty will be concealed. What a relief. 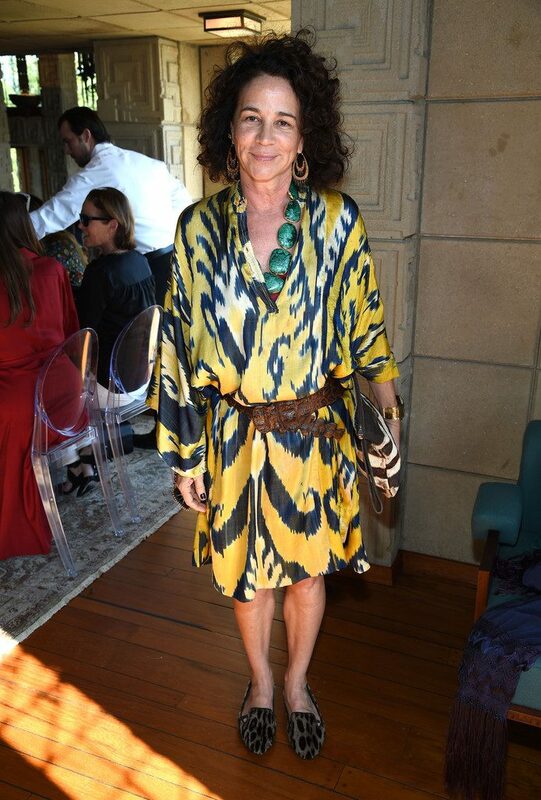 Elizabeth created this ikat for Oscar de la Renta several seasons ago. 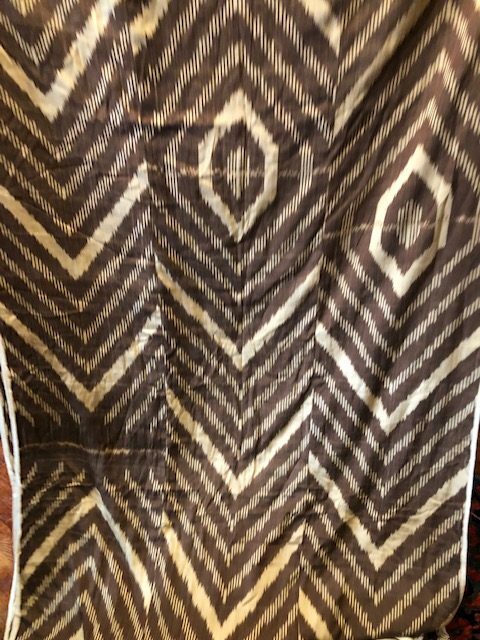 These ikats can be ordered per your needs. This one will be my first order. A slight mess from pulling out various towels and fabrics. I love this pillow and almost bought it. Fortunately they ship missed opportunities. 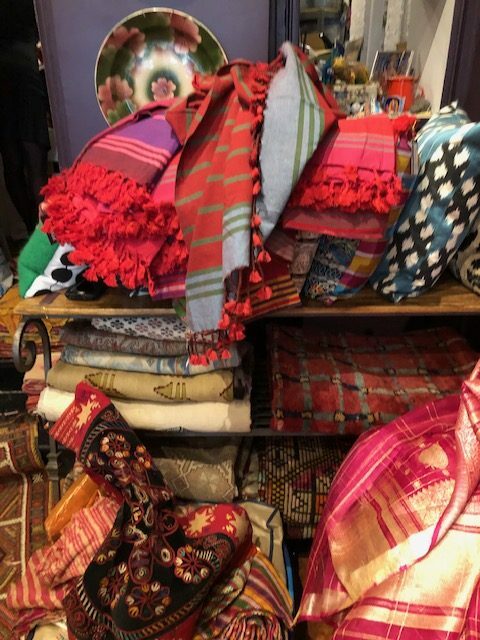 The store’s inventory consists of suzanis, hammam towels, pillows, ikats, jewelry, rugs, bowls, and even some clothing. 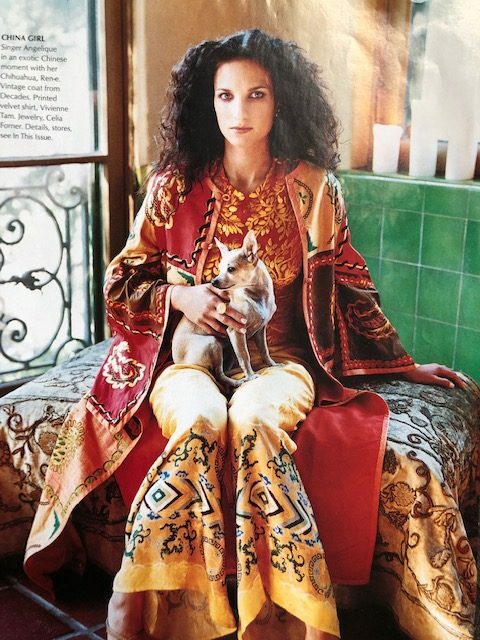 Clare’s line consists of some embroidered mules, pillows, jackets and robes. The chicest girls have exotic wardrobes. This ottoman jacket was another item I could not pass up. 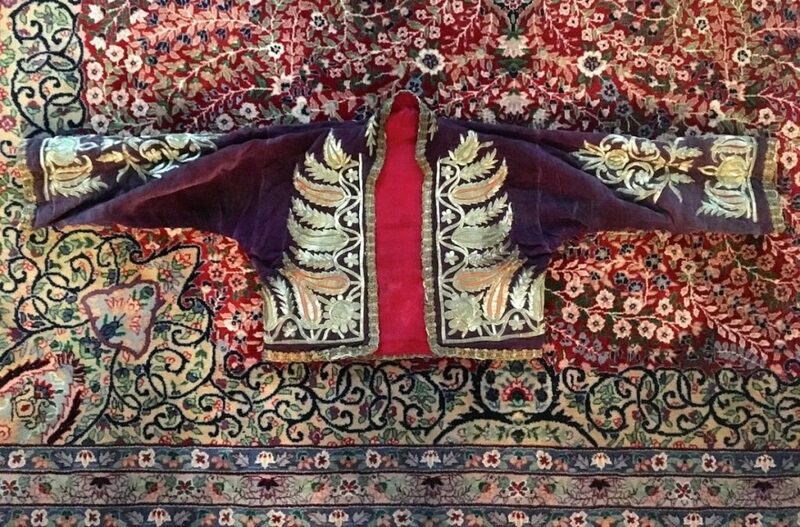 It is a dusty eggplant with thick metallic embroidery. Some of my favorite stylish girls mix ethnic pieces into their wardrobes. For evening wear, I find this particularly enchanting. Famous stylish girls often like vintage clothing. Interviewers often ask them for their favorite stores. They give a few names, but you know they keep the best ones a secret. That is a bit how I feel about Tamam. An amazing source that you don’t want people to raid taking all the best treasures. Elizabeth and Clare said they have a warehouse full of goods back in Instanbul; however, so there really is no need to worry about losing out. New treasures are always arriving. Plus Elle Decor already spilled the beans this month. Those traitors. You can follow them on Instagram to catch a peak of their treasures. 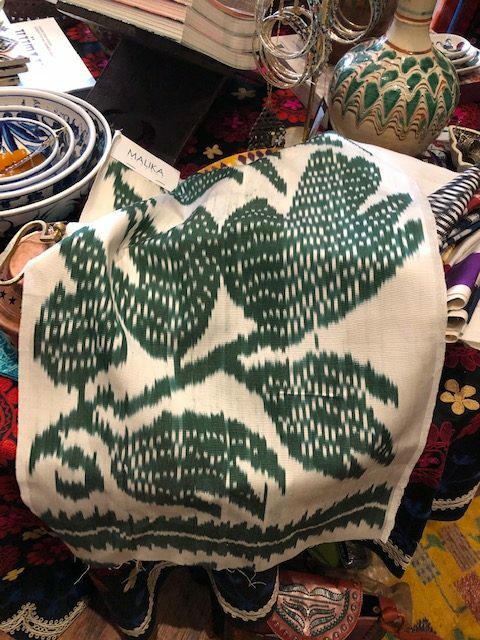 Casa V can bring dreamy stitches and exotic weaves to create an other worldly feel in your home.